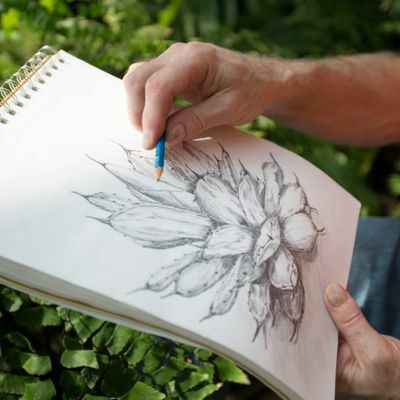 The Botanical Drawing: Senior Series is a dynamic 8-week course on consecutive Monday mornings (April 1 - May 20), facilitating artistic learning with older adults (55+ years). At the start of the series, individual abilities and confidence levels will be assessed to ensure a quality experience for all participating. Each student brings with them an innate set of skills and perspective which will be encouraged throughout the series, and personal style and self expression are emphasized. The class will start with pencil, but will also explore charcoal, Sumi Ink, and pulling prints from drawings made in clay. 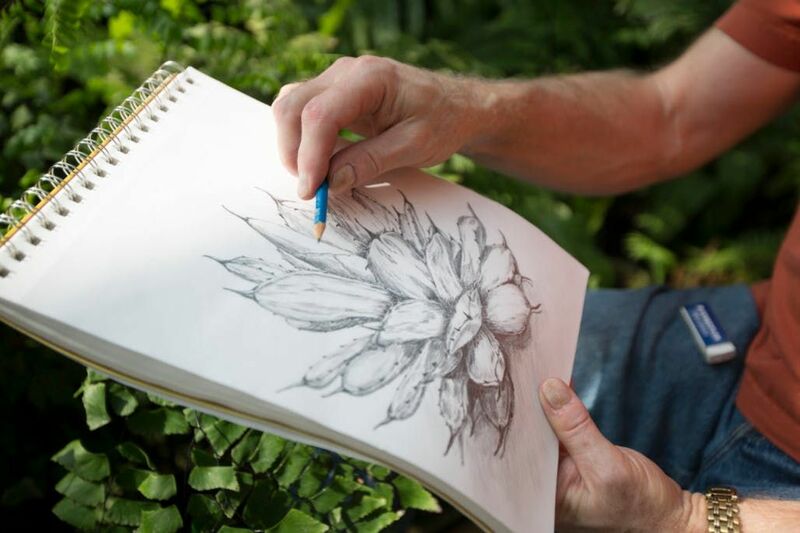 Students are encouraged to keep a sketchbook between classes, continuing our botanical theme, by revisiting the Conservatory or drawing plants in their homes and around the neighborhood. Marerials for this class can either be purchased on your own from a supply list or we can provide all materials for $22. Scholarships are available - please contact Mattie Wilson at 773-638-1766 x. 16 or bXdpbHNvbiB8IGdhcmZpZWxkcGFyayAhIG9yZw== to find out more. Presenter Bio: Sharon Bladholm's work has been profoundly influenced by her participation as artist, on scientific expeditions to remote and biologically diverse ecosystems of the Peruvian and Brazilian Amazon on expeditions with the Field Museum, Conservation International and Andes to Amazon Biodiversity Program. She has long explored the interfaces of art, science, conservation and nature in her many series of artworks in diverse mediums including glass, bronze and ceramic, as well as works on paper. Concurrently she has run Opal Glass Studios since 1983 and continues to complete many important commissions and show her art work in numerous galleries and museums. 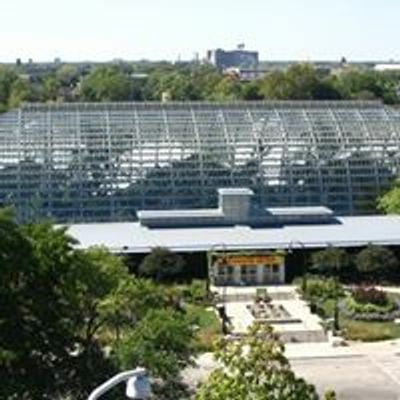 Sharon has created many temporary installations at Conservatories and the Museum of Contemporary Art in Bordeaux, France, as well as Suite Home Chicago, Amazon Rising for Shedd Aquarium, and a Cool Globe sponsored by the Chicago Botanical Garden that is still traveling the world. She has completed sculptural works in glass and bronze for the Peggy Notebaert Nature Museum. 2011 saw her permanent public art piece “Soil:Alive With Life”, based on soil microorganisms, installed at Openlands new 73 acre Lakeshore Preserve. This piece is featured in “City Creatures”, a book recently published by University of Chicago Press. She has created several new ceramic installations for the new exhibit recently at Notebaert Nature Museum, “Soils, Seeds and Sprouts : Tropical and Temperate” which contrasts local nature with Amazonian. One installation, Earth Stars:Above and Below features numerous Earth Stars, a type of fungus that can open and close and is found all over the world. The second, a multitude of enlarged seeds for Seed Rain-Seed Bank that looks at the amazing diversity and dispersal methods of seeds. Sharon often teaches workshops, present lectures and is involved with residencies at schools and in 2016 she was the first Artist in Residence in the Amazon with Project Amazonas, spending several weeks at their forest reserve near Iquitos, Peru.